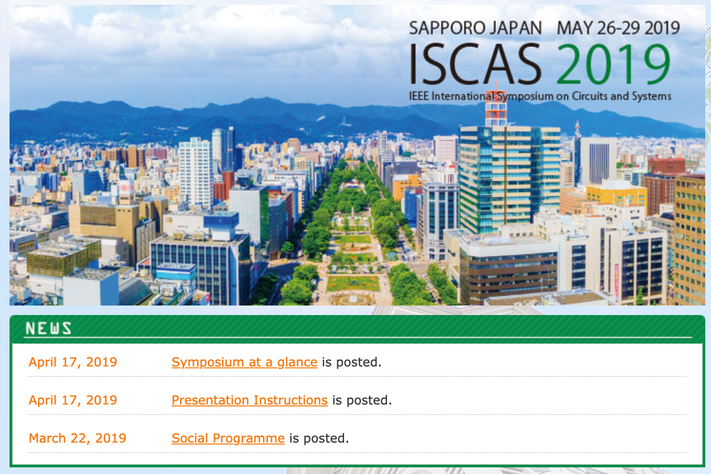 IEEE ISCAS 2019 is just around corner! Online registration is still open! Click here to see what our conference committee has prepared for you! See you soon in Sapporo, Japan!